We are delighted to welcome author Diane Capri to Omnimystery News today. Diane's seventh book in her popular Hunt for Reacher series is Deep Cover Jack (AugustBooks; September 2016 trade paperback and ebook formats) and we recently had the opportunity to catch up with the busy author to talk a little more about it. Omnimystery News: Introduce us to your lead protagonists, Kim Otto and Carlos Gaspar. How did you come to create these characters? What is it about these characters that appeals to you as a writer? And how did you get Lee Child's permission to write this series? Diane Capri: It was Lee Child's suggestion that I write and publish my Hunt for Jack Reacher Series, with his support. He and I have been friends for years. Fortunately, he loves the series and the characters and what I'm doing with the Hunt for Reacher, so all's well that goes well. Character development in a mystery/thriller/suspense series is one of the most important elements of the writing for me. All writers have strengths and weaknesses and I'm fortunate that one of my strengths is developing great characters. I worked for months to create FBI Special Agents Kim Louisa Otto and Carlos Gaspar. Readers seem to love them as much as I do, so they've worked out well so far. Whew! Kim Louisa Otto is the lead agent in this series. She's competent and ambitious to a fault. She's also courageous, brave, and extremely hard working. She wants to be the Director of the FBI one day and she might just make it. If hunting for Reacher doesn't kill her first. Carlos Gaspar is ten years older than Otto and her polar opposite. He's a married man with four children and a fifth on the way. He was injured in the line of duty a while back and lives in constant pain. Every day is a stoic struggle for him. He's got twenty years to go before he can retire. What appeals to me about these characters? Everything. I like the respect and camaraderie they have and how determined they are. They never give up, no matter what happens. Otto is anxious about most things, but she does it anyway. To me, that's the very definition of bravery. Gaspar soldiers on when a lesser man would quit. He claims to have no choice, but at the same time, it's his pride and his culture that carries him through. "I'm a father. Fathers work. Simple as that." The most important thing? Together, they are a solid match for Reacher. What happens when the confrontation comes? OMN: You have written many books! Can you share some background about your path to publication? DC: My first novel was traditionally published under a different author name in 1999. Since then, I've written twelve novels, seventeen novellas, a book of crime puzzles, and two non-fiction books. As a practicing lawyer, I also wrote millions of words that were never published. I've been at this a long time. OMN: Tell us something about Deep Cover Jack that isn't mentioned in the synopsis. DC: I wanted to use the setting Lee Child had used in Persuader. But I also wanted my story to be significantly different from his. So the action in Deep Cover Jack takes place during a freak Thanksgiving snow storm that becomes a character in the story itself. If you've never lived in a heavy snowfall region, you may not realize what a challenge it is to simply navigate the world under those conditions. My summer home is in Traverse City, Michigan, where we often have several feet of snow on the ground from Thanksgiving through April, and I wanted to write that struggle into the story. DC: I'm a fan of luxury travel. I'd probably choose an around the world cruise on the Queen Mary 2. Imagine all those ports and excursions! And lots of time for writing about them. Sounds perfect to me. Hmmm … Wonder how much such a trip would cost? DC: In addition to activities with my large extended family, I love movies, travel, wine, chocolate, beaches, dogs, reading, games, and coffee. Not necessarily in that order. Everything is fodder for my books, of course, particularly the travel. I've traveled to almost every location you'll find in my stories. Obviously, unlike Kim Otto, I'm not worried about flying. 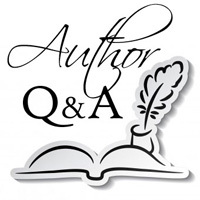 OMN: What is the best advice you've received as an author? What is the harshest criticism? What have you learned from either? DC: The best advice was and still is to keep writing. No matter what happens, we must keep going. A writing career is a very long and winding road for most of us. We simply put one word in front of the next, every day. The harshest criticism? I try not to dwell on the critics. To paraphrase Lincoln, I can't please all the people all the time. But I do keep trying. OMN: What kinds of books did you read when you were young? Did the genre you read most influence your decision to become an author of the kinds of books you write today? DC: I read everything as a kid, and I still read widely. But I've always enjoyed mystery/suspense/thriller more than the other genres. Life is a mystery, isn't it? I like my reading to reflect that. I love to figure things out. Writing twisty plots with didn't-see-it-coming endings, great characters, terrific dialogue, and loads of atmosphere is what I love to do and what I love to read most. If you can surprise me at the end, even a little bit, I'm hooked. But I warn you, that's hard to do. DC: Fortuitously, I have another new novel releasing on October 4th! Sometimes, good news just comes fast, right? I'm very excited about Blood Trails, the first book in my new Heir Hunter Series featuring Michael Flint, the heir hunter of last resort. Blood Trails is published by Thomas and Mercer, and they've done a great job with the book. I can't wait to have everyone read it! Diane Capri is the author of numerous series, including the Heir Hunter Series, Hunt for Justice and Hunt for Jack Reacher series and the Jess Kimball Thrillers. Capri has been nominated for several awards, including the International Thriller Award, and she won the Silver award for Best Thriller e-Book from the Independent Publishers Association. A former lawyer, she now divides her time between Florida and Michigan. For more information about the author, please visit her website at DianeCapri.com and her author page on Goodreads, or find her on Facebook and Twitter. FBI Special Agents Kim Otto and Carlos Gaspar will wait no longer. They head to Houston to find Susan Duffy, one of Jack Reacher's known associates, determined to get answers. But Duffy's left town, headed for trouble. Otto and Gaspar are right behind her, and powerful enemies with their backs against the wall will have everything to lose.